Even though it is the beginning of the quiet season here in Governors Harbour Eleuthera it is a delight to be able to write about art and culture here ! 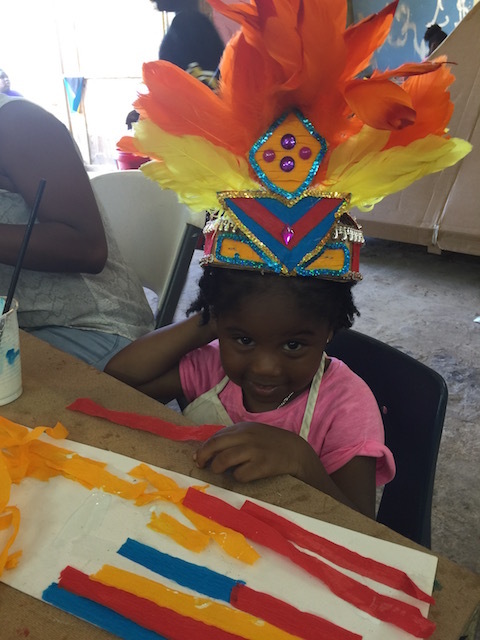 The week long workshop for the children in the area for learning about all aspects of Junkanoo was held right here in GH under the watchful eye of Anishka George on behalf of the Governors Harbour Cultural and Community Organization. 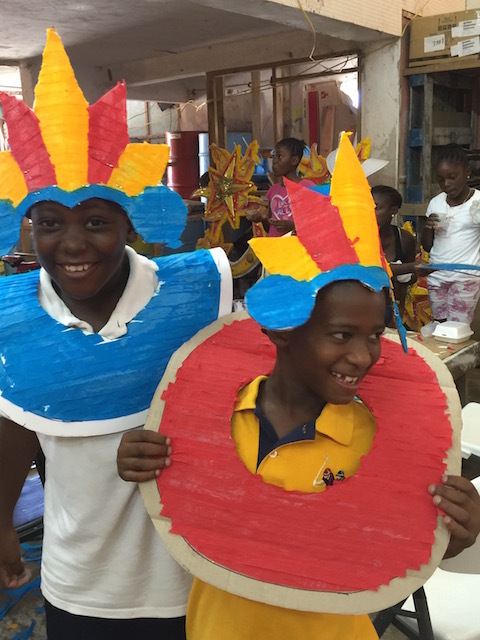 It was a camp to educate and empower the children about their culture symbolized through Junkanoo. This is the second year it has been held and hopefully it will continue as a regular fixture in the late summer calendar. 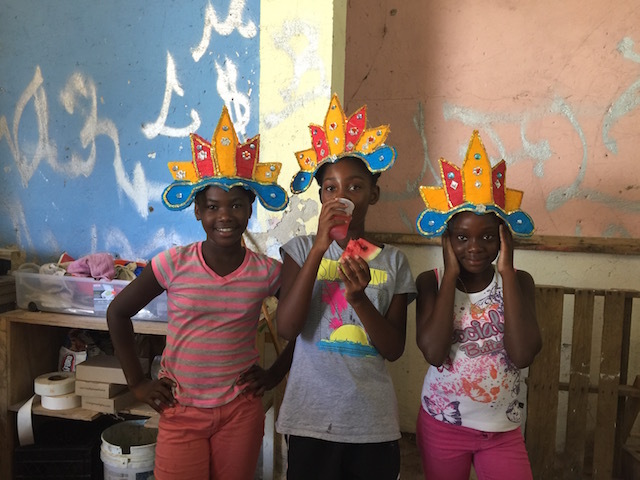 Anishka has great personal passion for Junkanoo and this shines through in her teaching and way of inspiring the children. 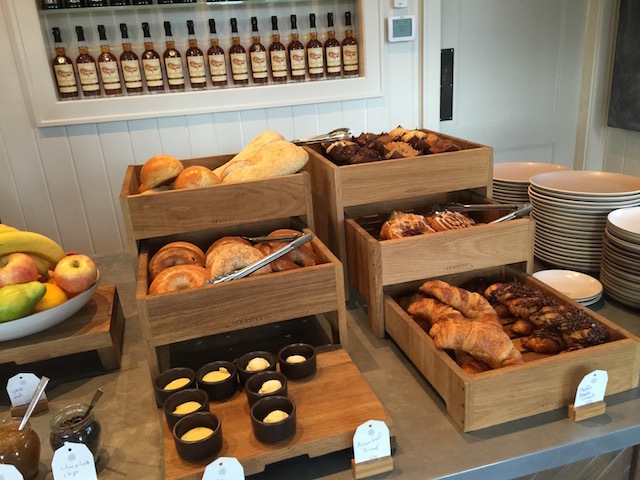 The age range went from 5 years old right through to 17 year olds – a great spread. 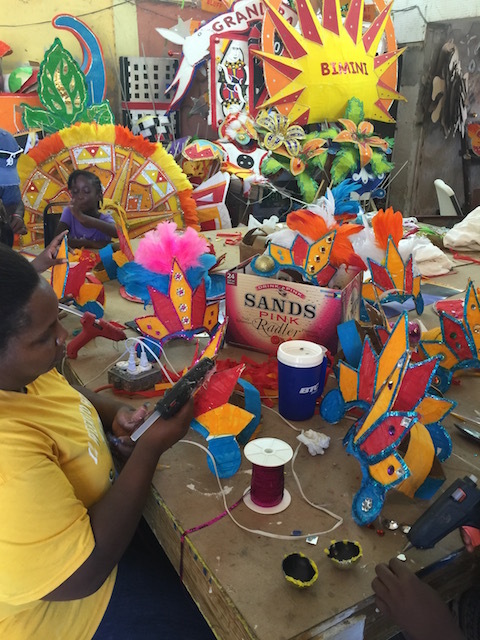 They learnt on a practical level how to make their own headdresses and shoulder pieces – beautifully colored and with final embellishments being added by a lovely group of volunteers. They had a drumming workshop as well which needless to say was very popular. Having a great time with the drumming …. I spoke with Rod Bethel about his session with the children where he inspired them with his lesson of the 5 L’s . He talked with them about LOOK – learn to focus and pay attention. LISTEN – to teachers, parents and people in authority. LEAVE – know when to leave bad situations and bad company. LEARN – use you senses to learn from all sorts of situations around you and store that information. And finally – LOVE – love what you do , love the people around you who are important in your life and love your life, who you are and where you came from….. The youngest participant – doin’ some gluin’ ! 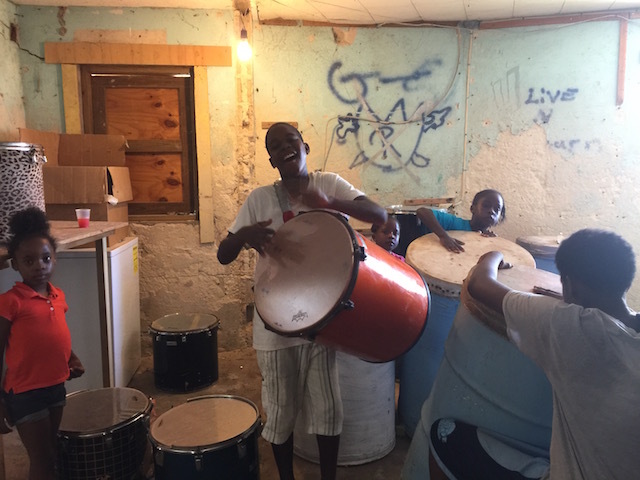 The youngsters are encouraged to work as a team – both in and out of the Junkanoo shack, to work towards unity with one spirit. Discipline and respect are also strong themes that ran throughout the week. Great life lessons while they think they are just making a costume and having fun …..
Look what they made ! And look what we made ! For anyone who is on island the week beginning 11th September make sure that you pay a visit to the fabulous exhibition staged by the National Art Gallery of the Bahamas. 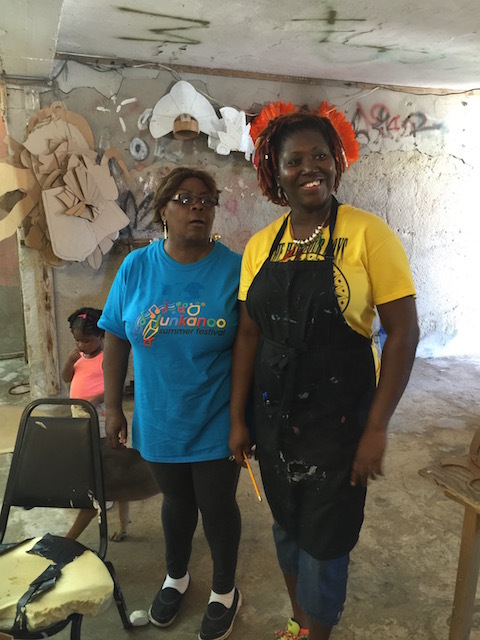 I met Abby Smith – a community outreach worker who is working extremely hard on this project. Although the main focus is for students – with a print making workshop for high school students and a painting workshop for primary school students – there is a curators talk at the Haynes Library on Tuesday September 13th from 5pm – 7pm. 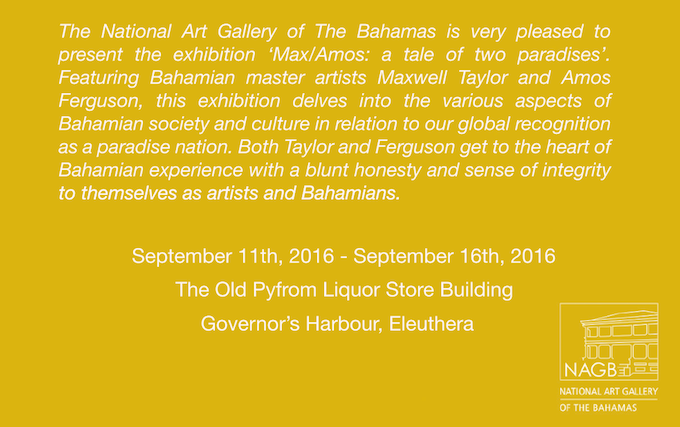 The two featured artists are the late Amos Ferguson and the very much alive Maxwell Taylor. 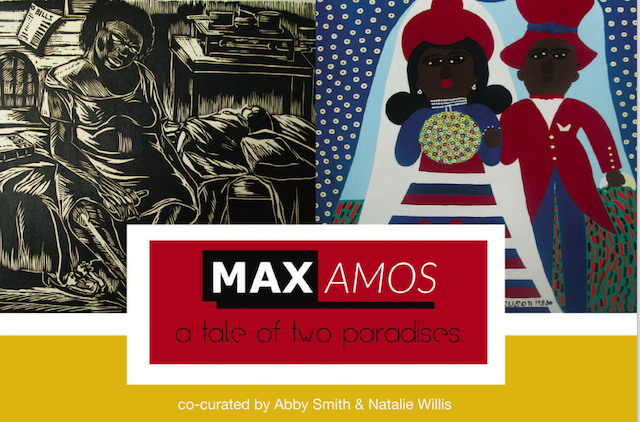 The theme and title of the exhibition is Max – Amos – A Tale of Two Paradises. It compare the two different visions and experiences of life in the Bahamas…… If you are here – don’t miss it ! Finally in this week of culture Bob and I had to spend a night in Nassau – of course at our favorite hotel – The Island House – as we had an early meeting on Monday morning. This time we decided that we would visit the on site cinema – oh my goodness – it is really lovely ! 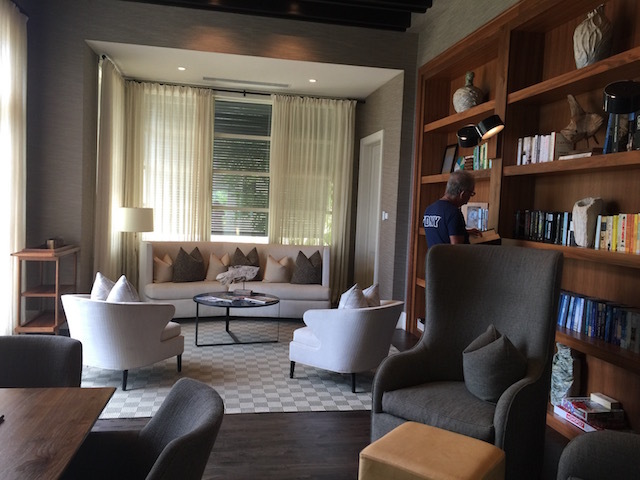 It seats 48 people and is open to non-residents of the hotel or as they say – local culture buffs ! It is such a delight. We had a 2 seater sofa on the back row – extremely comfortable with leather footstools so you can put your feet up and handy table to put your glass of wine on. The screen is 24 ft wide and the sound system is excellent. Give it a try if you are staying in the area. 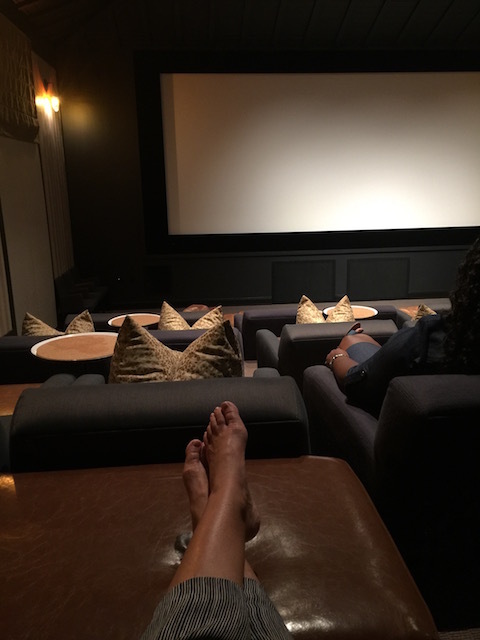 Feet up in the cinema – ready for the movie …..
What did we see I hear you ask – well in all this talk of art and culture it was of course Absolutely Fabulous !!! Sweetie darling – such fun …..
Rudge has landed – right in his Gucci slippers ! We live through you and your adventures Kathy! It’s always nice to pause from the daily grind, good or bad, and reflect on the beauty that surround us in the children and culture. Thanks for the lovely comment Angelika – glad to know that people even read my ramblings! !